Over the last 20+ years, through my exhibitions, events, art projects, courses and workshops, I’ve met so many interesting mindful people in Europe and also Japan. My pages and SNS have connected me with people all over the world. I’m so grateful to have both sides of artistic skills. Thanks to my two passions – calligraphy and painting. Without them I would not have discovered my own style of art form Neo-Japonism, nor created the unique Painted Poem series. The poem shown here is a total inspiration-circle of calligraphy/ brush movements synchronised with our ways of life. I am back in London for my solo exhibition at the Sway Gallery! The show goes till the 18th March. 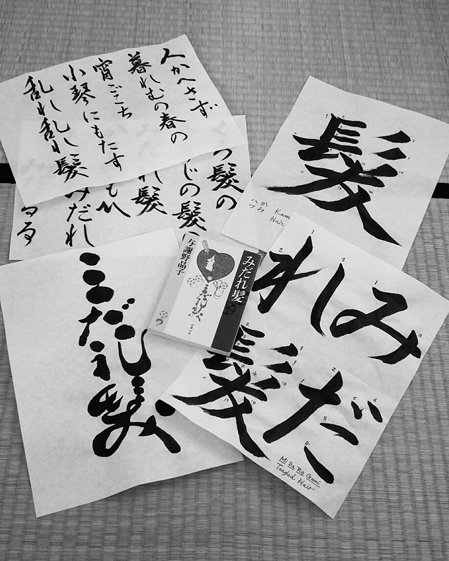 A short film “visual calligraphy” is shown at the exhibition. The New Autumn issue of “moment by moment” magazine is out now! – the article by Gert Scobel. ” HISHIRYO 非思量” later this week! My exhibition is ready to pop in 2 weeks. The opening party is on Saturday, the 30th June at 15:00. If you are around in town, please pop in! 📮This beautiful interesting book is published now! I enjoyed working on the cover and the calligraphy pieces. I would like to inform you that the next calligraphy workshop in Freiburg is on Sunday, the 12th. November starting at 13.00. We will this time practise beautiful frost theme texts in many different calligraphy styles. The workshop is designed for a small group of people (max.8) and for 8all levels including some professional needs too. The beginners are always welcome! Looking forward to seeing you on Sunday!! Where; Haus Diva, Vauban in Freiburg. Fee; 45 euro ~All materials included, tools provided. 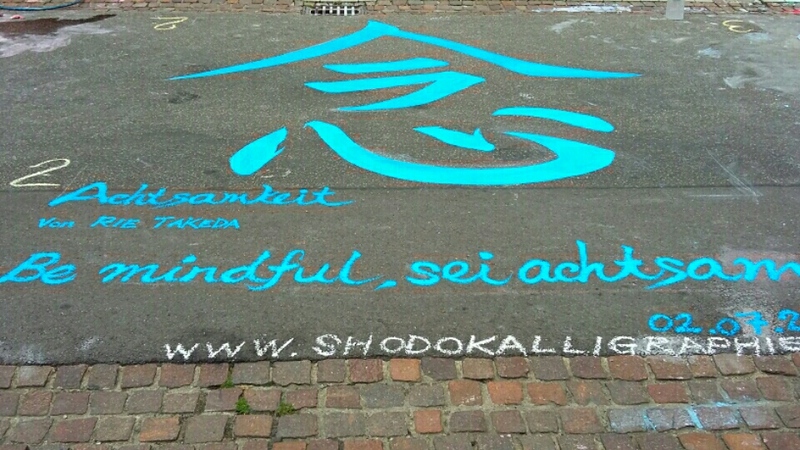 I would like to inform you that the next calligraphy workshop in Freiburg is on Sunday, the 15th. October starting at 13.00. We will practise beautiful Autumn theme texts in many different calligraphy styles. The workshop is designed for a small group of people (max.8) and for all levels including some professional needs too. The beginners are more than welcome!! 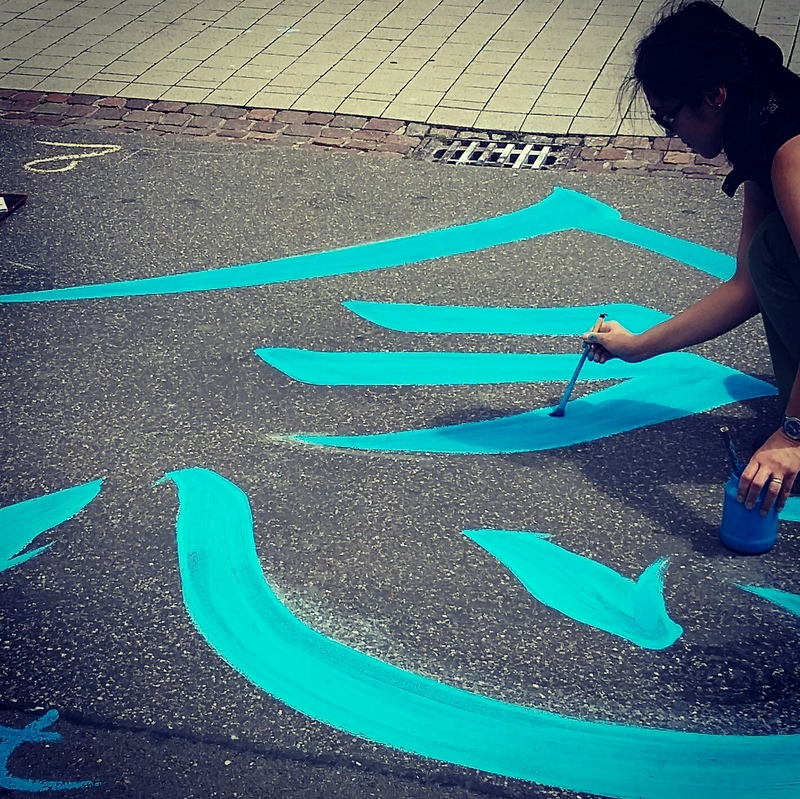 I was invited to do some street-calligraphy action at the Street-Art in Bad Krozingen, Germany. 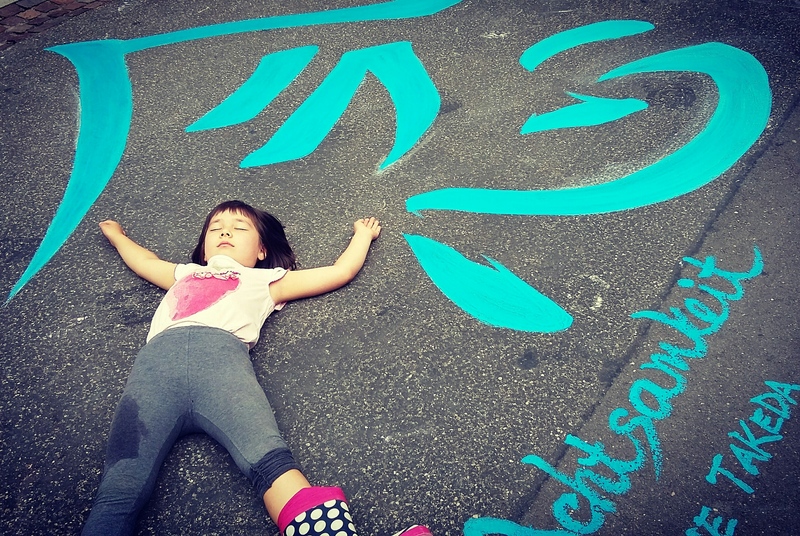 I did a huge Kanji” in 3mx3m. That what we all need right now…. The last workshop-style course was on last Sunday. Thanks very much to everyone who took part in the workshop in Freiburg!! Some managed to practise quite many texts, some focused on the specific techniques!! Next workshop is on Sunday the 22nd.January in 2017. I will bring some big calligraphy brushes so that people can try them out. Believe me – it is always fun with a big brush!! For those who signed up for the workshop already, I wish you a safe pleasant journey to Freiburg. : Sunday, 30.October from 13.00 to 16.00.
: Haus Diva, Lise-Meitner-Strasse 12, 79100, Freiburg-Vauban. I am finally going to start regular calligraphy group lessons in Freiburg-Vauban. It takes place monthly and is for beginners to advanced levels. Each time, I prepare various texts in different styles according to the seasonal theme. All dates till next July are now confirmed. If you are interested in experiencing the mindfulness process, check out the dates! 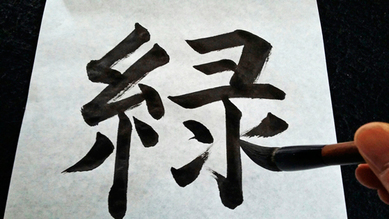 Experience in Japanese calligraphy is not necessary. 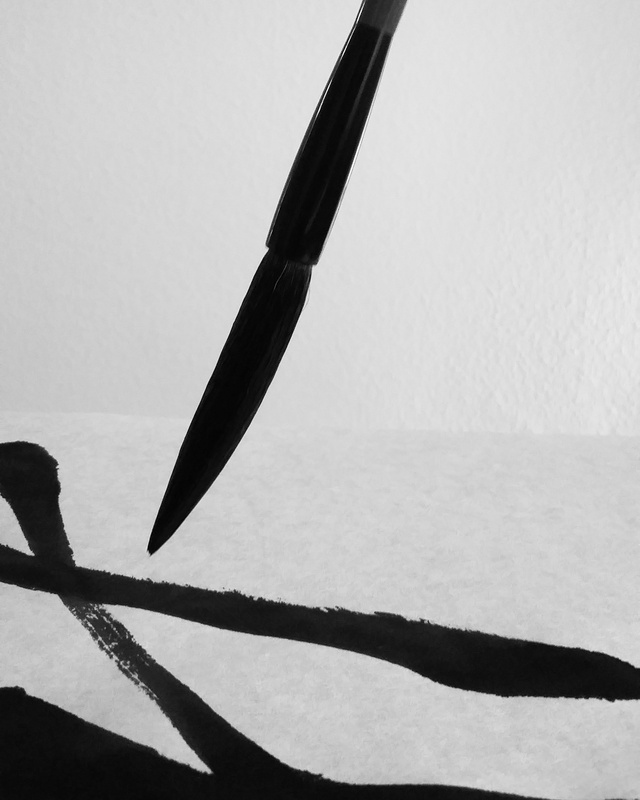 Each participant from beginner to advanced level can discover and experience the essence of Shodo the art of Japanese calligraphy. The Participants can learn to focus on bringing the balance of mind and body together as well as a one’s individual mindfulness process by special designed practices. So students can learn little by little how to concentrate on their own Qi flow, conduct and apply it with brush and ink onto paper. 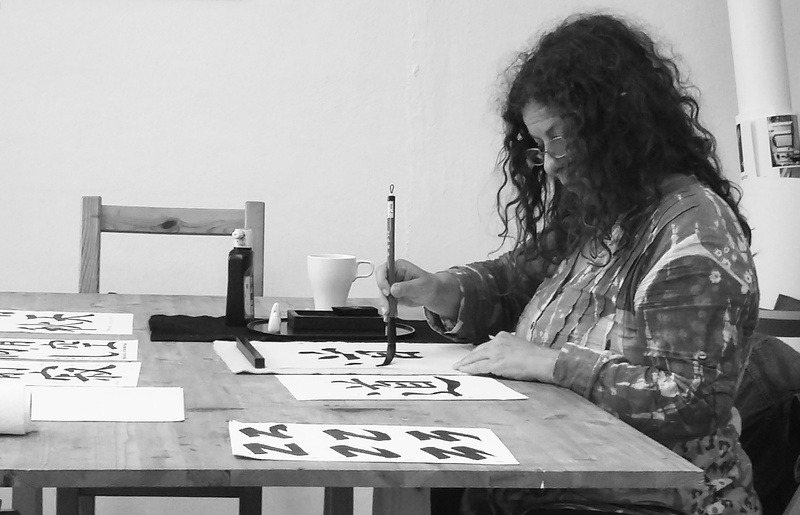 I am going to start special Shodo calligraphy workshops in Freiburg from October 2016. I plan to give 10/11 workshops throughout a year till 2017 summer. Each month there will a particular theme for calligraphy texts, and specific calligraphy styles to practise. 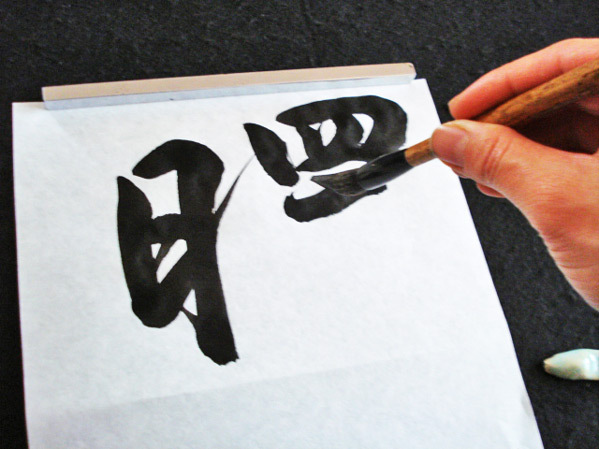 That would be a perfect opportunity to try out Shodo Japanese calligraphy and for Shodo learners to practise regularly. Any question, I would be happy to hear from you! 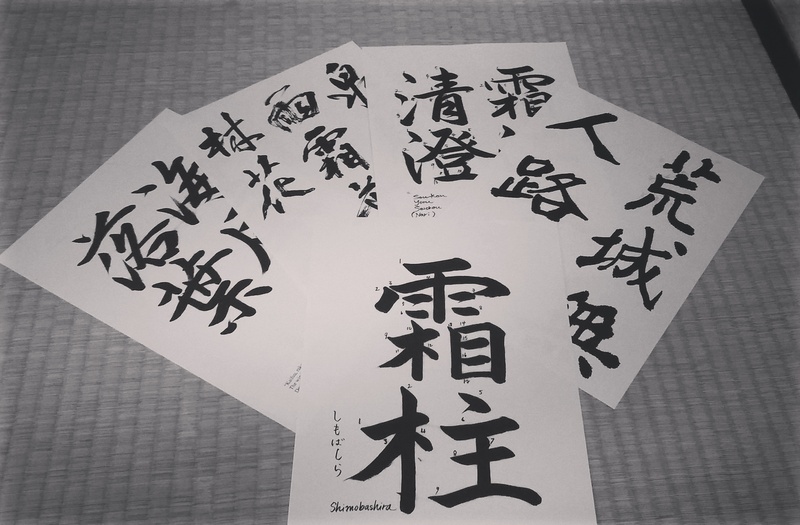 When you sign up for the workshop, please write your experience/level in Shodo Japanese calligraphy. If you have already got calligraphy tools, you could bring along and show me. 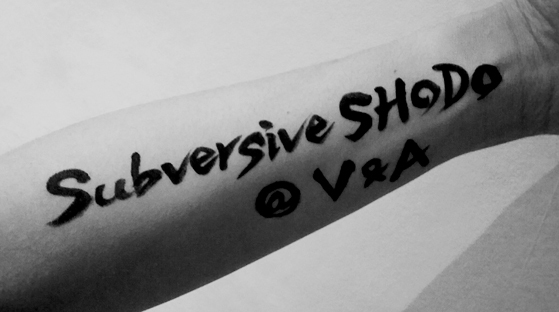 I am going to give a calligraphy-session as a part of Friday-Late at the V&A on Friday the 27th.May. There will be three sessions throughout the evening. And participants can try out some basic calligraphy techniques and move to practising the calligraphy text featuring the poem. After the session, participants can keep their own calligraphy. *Experience in Japanese calligraphy is not necessary. 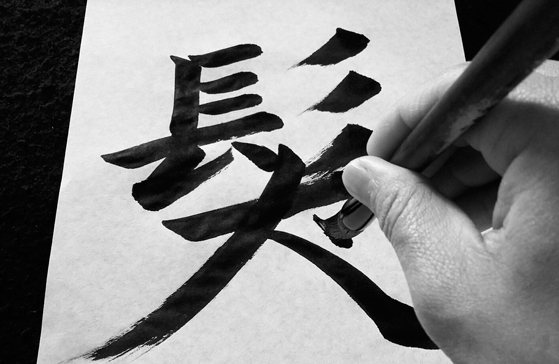 Each participant from beginner to advanced level can discover and experience the essence of Shodo the art of Japanese calligraphy. The Participants can learn to focus on bringing the balance of mind and body together as well as a one’s individual mindfulness process by special designed practices. So students can learn little by little how to concentrate on their own Qi flow, conduct and apply it with brush and ink onto paper. – sign-in workshop at the door: entry free* places are designated on a first come, first served basis. – please ask the museum staff, which room the calligraphy workshop takes place. An ever-changing, curated program of live performances, cutting-edge fashion, film, installations, debates, special guests and DJs, with bars, food, and late-night exhibition openings. Held on the last Friday in every month (except December & September) from 18.30 – 22.00. Friday Late is free and drop in. All events are available on a first come, first served basis. All visitors to Friday Late should use the main entrance on Cromwell Road. If you are a V&A Member, corporate member or hold a ticket to an exhibition please use the Exhibition Road entrance. Exhibition Tickets are available from the Exhibition Ticket Desks. Tickets are subject to availability, and no booking fee applies. Please note tills close at 20.30. All events are free and places are designated on a first come, first served basis, unless stated otherwise. Please note, if the Museum reaches capacity we will allow access on a one-in, one-out basis. Filming and photography will take place at this event. 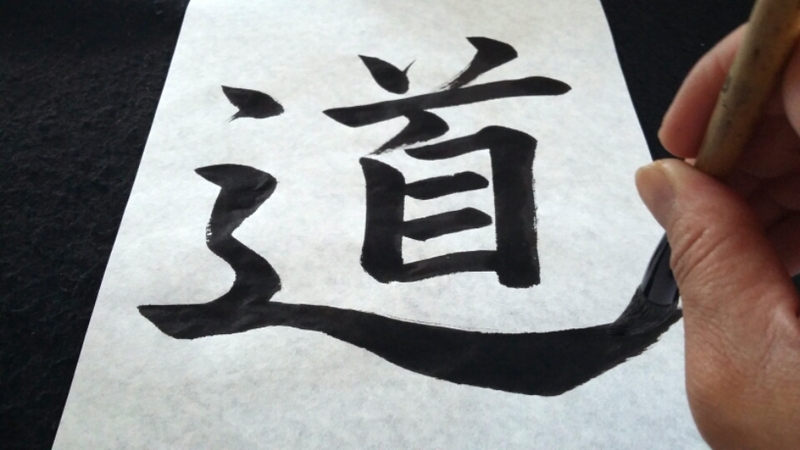 Experience in Japanese calligraphy is not necessary. 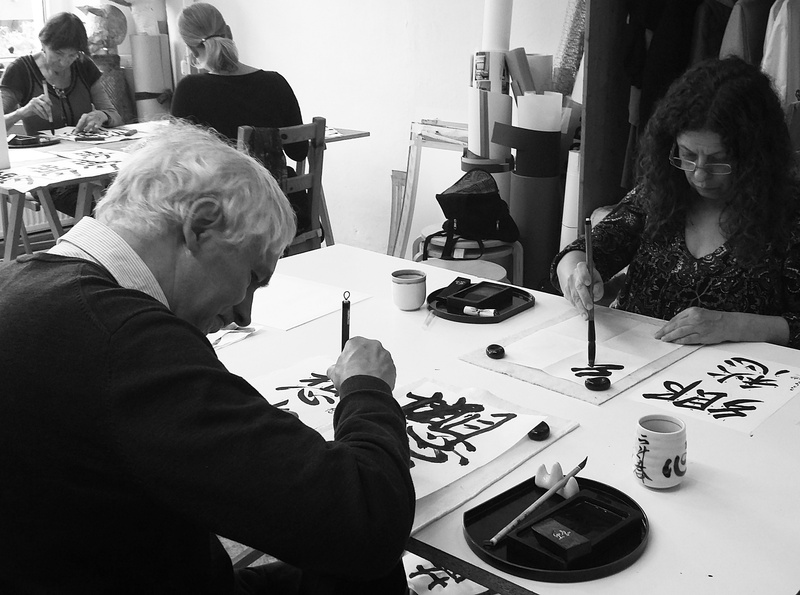 Each participant for the beginners to advanced level can discover and experience the essence of Shodo the art of Japanese calligraphy. The Participants can learn to focuses on bringing the balance of mind and body together as well as a one’s individual mindfulness process by specially designed practices. So students can learn little by little how to concentrate on their own Qi flow, conduct and apply it with brush and ink onto the paper. 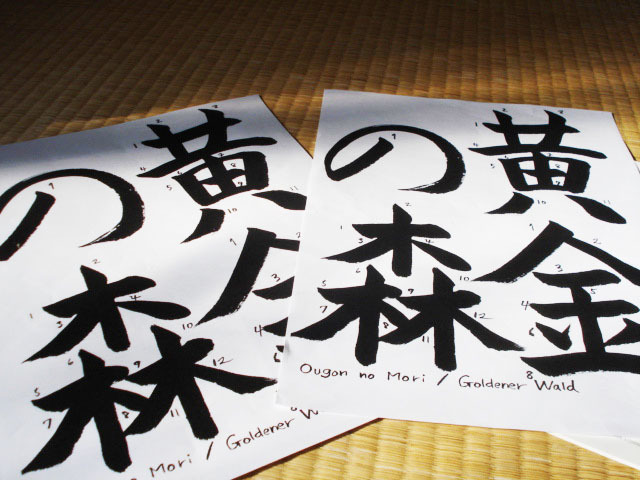 We did the text “OUGON NO MORI” (golden forest) in the workshop on last Sunday. It was a perfect day for the text- a beautiful warm autumn day!! Loads of yellow and golden yellow colours everywhere!! Thank you very much for taking part and coming again!! All of you did very very well, excellent job! Some of learners are becoming so good at basic techniques and adjusting balance. I was amazed. Keep your practice up and enjoy your Shodo time in autumn!! Here is more detailed info in German. The workshop can be in English/German/Japanese languages. Next monthly workshop in Bad Säckingen is on Sunday the 22nd.November. 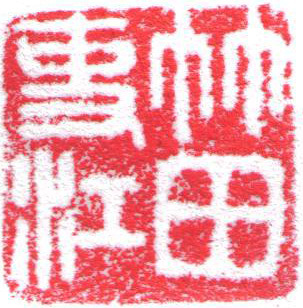 Es sind dazu keine Vorkenntnisse notwendig, vom Anfänger bis zum Fortgeschrittenen kann jeder die Quellen von japanischer Kalligraphie entdecken und erlernen. In einer speziell erarbeiteten Methode lernen die Teilnehmer eine Balance zwischen Geist und Körper, eine erhöhte Achtsamkeit im Umgang mit Atmung und Körpergleichgewicht. So erfahren Sie dabei auch, sich auf den eigenen Qi Fluss zu konzentrieren und diesen dann mit Pinsel und Tusche auf Papier zu bringen. Diese Erfahrung lässt Sie dem Alltags Gedankenstress entfliehen und zu einer inneren Ruhe finden.